Have you just been promoted? Handle the transition with ease. Let this SmartTips video help you make sure that your previous responsibilities are in good hands, you are adjusting to your new responsibilities, and that you are putting your own touch on your new position. Market yourself with a strong and unified vision of yourself. This SmartTips video shows you seven ways to create and maintain a personal brand by utilizing some introspection to define your image and personal style. Maintain a competitive edge at work by networking, keeping up with trends, honing your skills and always showing initiative. 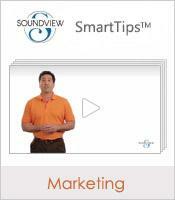 This SmartTips video shows you how to gain the kind of respect around the office that could lead to more promotions.